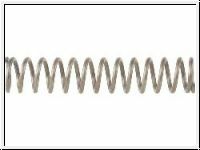 Buffer Retainer Spring AR-15. Made to military specifications and dimensions. This Product was added to our catalogue on Wednesday, 09. July 2008.